Each developmental level of the program features a consumable Word Study Notebook. 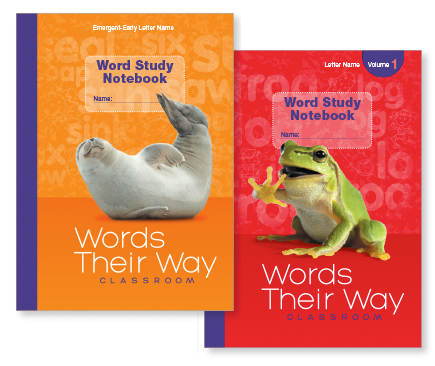 The Word Study Notebook contains a four-page lesson for each sort, including picture and/or word cards for students to cut out, and a grid onto which students sort and glue the cards. Each lesson also contains a written activity that gives students practice in the element that corresponds to the lesson’s sort. The Big Book contains a poem for each sort in the Emergent-Early Letter Name, Letter Name, and Within Word Pattern developmental stages. Words in the poems reflect the word features covered in the corresponding sort. High-interest, engaging illustrations accompany each poem and can be used to foster discussion. 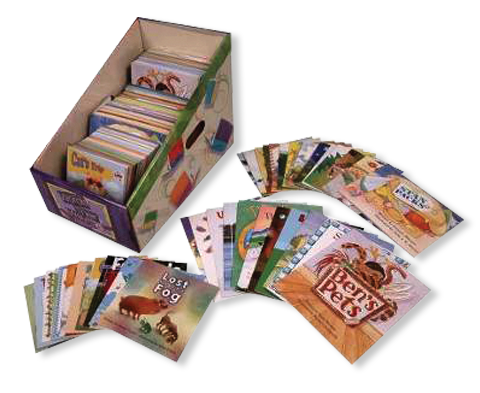 Directions are provided on how to use these materials during guided and supported reading. An all-in-one program user’s manual! 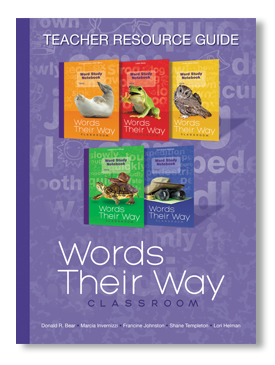 Get fresh ideas, background, and informative details about Words Their Way Classroom. The guide helps teachers implement and manage the program to maximize effectiveness. 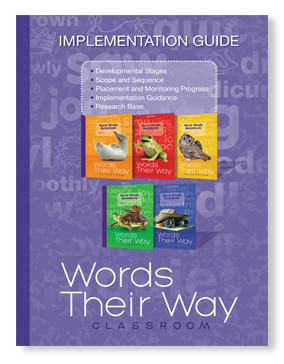 Comprehensive instruction and content support help teachers create an effective word study program. 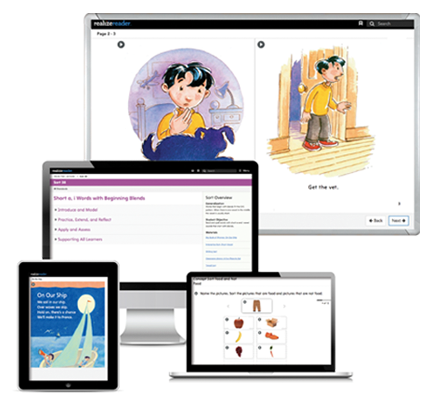 There is an overview of each developmental level, including assessments. Each instructional lesson provides specific information for teaching the sort. Each sort in Emergent-Early Letter Name, Letter Name, and Within Word Pattern is aligned to a corresponding little book from the Words Their Way Classroom Library. Stories are age-appropriate and appealing. Encourage students to read and reread these books, as repeated readings allow them to add to and maintain their knowledge of sight words. 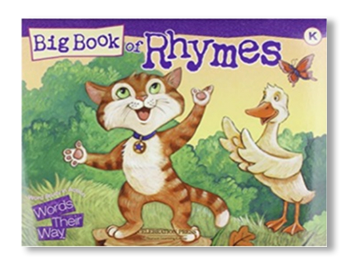 Rhymes from the Big Book of Rhymes can be displayed for teaching concepts of print and words. The rhymes include words that exemplify the sort focus. Interactive sorts can be used to demonstrate the sort feature and to practice the sort. The writing sort allows students to practice letter and word features through writing. Picture or word cards can be used to demonstrate each sort. Games give students additional practice. Blank templates allow you and your students to create your own sorts and games.